Backed by a skilled team, we are a renowned Manufacturer and Supplier of organic Vermicompost. We make sure that Vermi Compost contains no harmful pesticide, insecticide or chemicals. Tested on all quality parameters, Vermicompost is packed in various packaging options according to the buyer’s requirements. We are capable of delivering all order, no matter big or small, within the stipulated time frame. 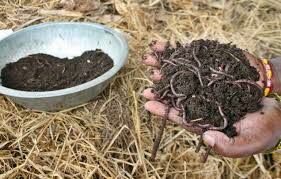 You can purchase cost-effective Vermicompost from us.